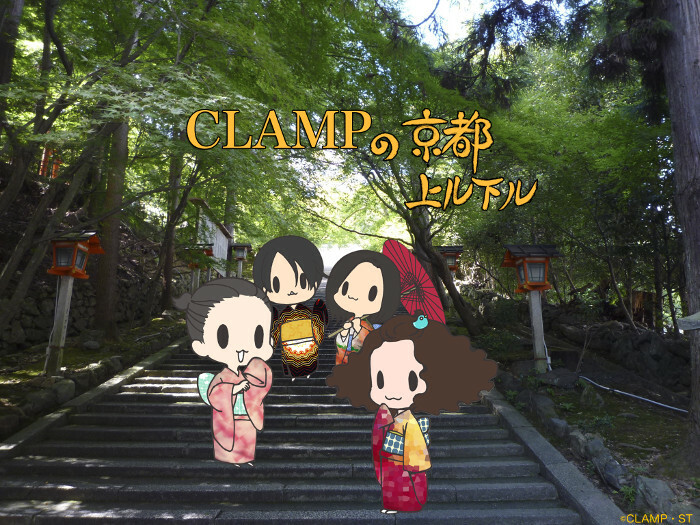 Episode 29 is up for download at CLAMP no Kyoto Agaru Sagaru‘s official website. Manga recommendations — Mokona recommends Konta Shou no Gouhou Recipe, by Isuke Mada. It’s a new series that is being published in Shonen Magazine R. Although Mokona was the one who recommended this one, I’m pretty sure Ohkawa and Nekoi are crazy about it too since they both have been exchanging tweets with the mangaka; Satsuki recommended Nomijyoshi, an ongoing series by Ukatsu with 2 volumes published; Nekoi recommends After 5 no Joou-tachi, by Ryou Rokutan; Ohkawa recommends Ansatsu Kyoushitsu (Assassination Classroom), by Yuusei Matsui. Jun Fukuyama (Watanuki’s seiyuu) is in the cast of the anime adaptation. The final message was narrated by KBS Kyoto’s soccer narrator xD he even says “GOAAAAAAL” at the end. It’s cute how they keep changing the way the final message comes across. The gyoza straps and charms are probably a reference to the plastic fake food mobile phone accessories. The sushi ones have been around for years, but recently gyoza and other types of Japanese food charms are getting popular in Kansai.